Do you think, that when your are buying an expensive piece of audio equipment, that it should just sound good? Well, think again. Very few pieces of audio equipment actually sound good and out of these, none sounds good when powered from dirty mains supplies. Now, do you think, that just because you are paying a substantial amount of your monthly income to the electricity supplier, that they should be providing you with clean power? Well, think again. Unless you are in the business of making your own mains power, chances are high, that what reaches your wall outlets is practically unusable for audio installations. Not only will the dirty mains power increase your noise floor, but it will also greatly increase your distortion figures. If your monitoring system is detailed enough, you can practically hear, when the neighbour starts the washing machine, unless you take radical steps to ensure, that your electricity is nice and clean. For this task we are using a variety of techniques, starting with our dedicated electrical installation with surge protection devices, which in turn feeds the Furman P-6900. 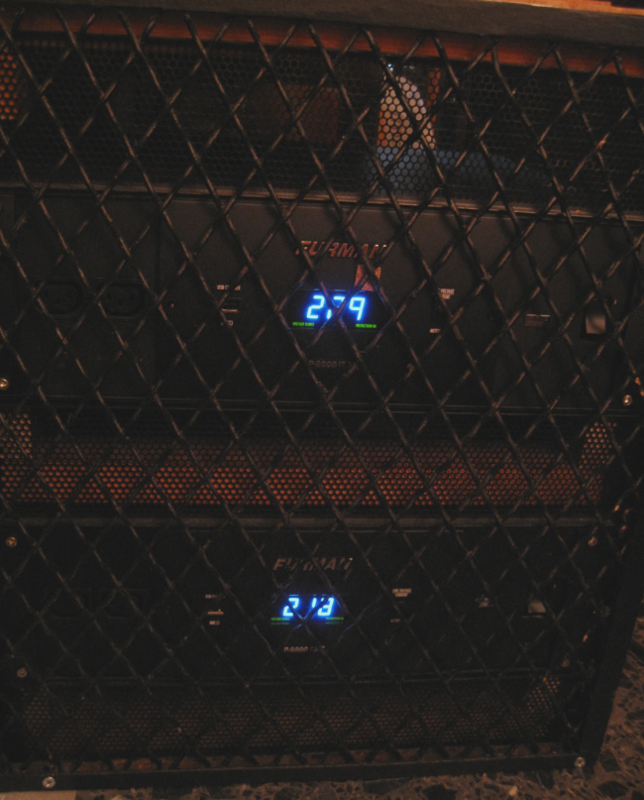 This is a dedicated 30 amp supply, which is designed to power our entire facility's audio equipment. The Furman P-6900 is essentially a stabiliser, with isolated outlets always providing stable conditioned and filtered electricity at 230 VAC/50Hz. The vast majority of the equipment in our live rooms and lounge are powered directly from this unit, while the more critical applications, such as the main mastering room, editing suite and duplication lines have an extra layer of conditioning. Unfortunately, very few facilities in Europe take the issue of power conditioning seriously. In the USA, such installations are considered standard equipment for any serious professional audio installation.